It's also worth noting that if you have an existing tracking branch already set on the branch you're pushing, and push. To push a single tag, you can issue the same command as pushing a branch: git push To push all your tags, you can type the command: git push --tags Deleting a remote branch or tag The syntax to delete a branch is a bit arcane at first glance: git push : Note that there is a space before the colon. This is a bit of syntactic sugar, but if we think about it we didn't specify a local branch name. But I want to avoid that if possible, as it is error prone and not very efficient. Set this up as an alias in your user. Let's demonstrate this by pushing our current local branch to a different remote branch named new-branch. Now you're starting to see the light. Is it possible to specify that I want both master and develop to be merged fast-forwarded at once? In we covered the most common usage of git push by passing the remote name followed by the branch name. However made me realize that at least I don't need to pull twice. While it's nice to be consistent, we really haven't shortened the command. You can go to the merge just before the developer's first commit and see what the repo actually looked like when they started work. Lacking better argument, we chose to deny the push, because it will be easier to change in the future if someone shows us wrong. While that is usually what you want, it does not setup tracking between your local and remote branches. Switched to a new branch 'dev' This creates a new local branch with the same name as the remote one - and directly establishes a tracking connection between the two. Delta compression using up to 8 threads. If you did not intend to push that branch, you may want to hint: specify branches to push or set the 'push. While explicit, it does relay the seriousness of using this option. The output states our local branch is behind the remote branch and if we want to push our changes we can use the -f or force option. I'm not saying it's infeasible to make it safe, but it would be a trade-off. Anyway, sorry that you apparently felt it wasted your time. So let's run: git push —f origin head We see from the output now we have force pushed our changes and if we look on GitHub its commit history now matches master. Excepted from this license are code snippets that are explicitely marked as citations from another source. This includes both code snippets embedded in the card text and code that is included as a file attachment. All branches having the same name in both ends are considered to be matching. Use 'git push -f -v -n origin development' to force push a branch named development. Because it's useless noise in the history? The -u option is just short for --set-setupstream. You can pencil out what a disaster it is to rebase shared branches. I had to facepalm myself when I realized the issue I was seeing was from people doing a rebase of master from a branch and then pushing which is where issues really crop up from the history being changed. Your command substitution results in git pull origin which is the default anyway, isn't it? If you are checked out into a local branch without an upstream, then you must specify more information or set the upstream. So, if we run: git push We see from the output Git pushed our current branch to the origin remote. Although this blog does go into some good detail. Now if we run: git push origin it works. Correction: as Deskin Miller points out below, your remote-tracking branches will be updated on pushing to the corresponding branches in one of your remotes. Also, by doing this separately the distinction between when you should use a local branch name and a remote-tracking branch name becomes clear very quickly. The important addition to me is that this prompts me to run unit tests before committing and passes in the current branch name by default. I know about --set-upstream in Git 1. 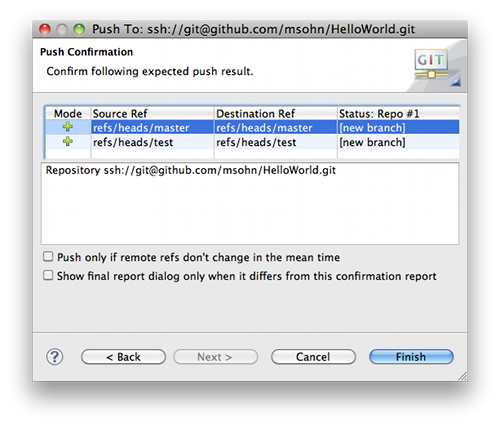 This might be useful — Sep 19 '11 at 13:42 You can set up default behavior for your git with push. Also the conflict resolving will be now per commit basis, not everything-at-once, so you will have to use git rebase --continue to get to the next batch of conflicts if you have any. 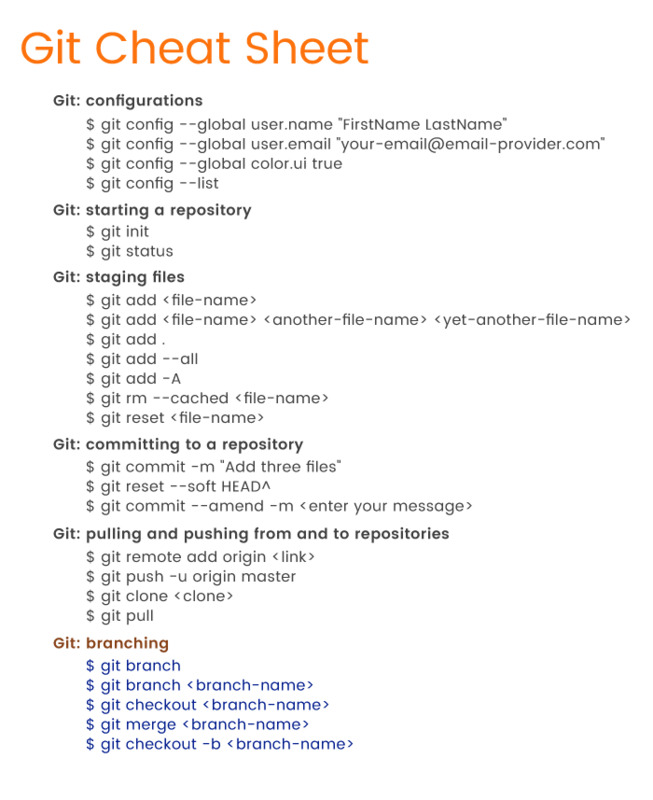 Use git push to push commits made on your local branch to a remote repository. Due to the git push error, they can't work on the development now. 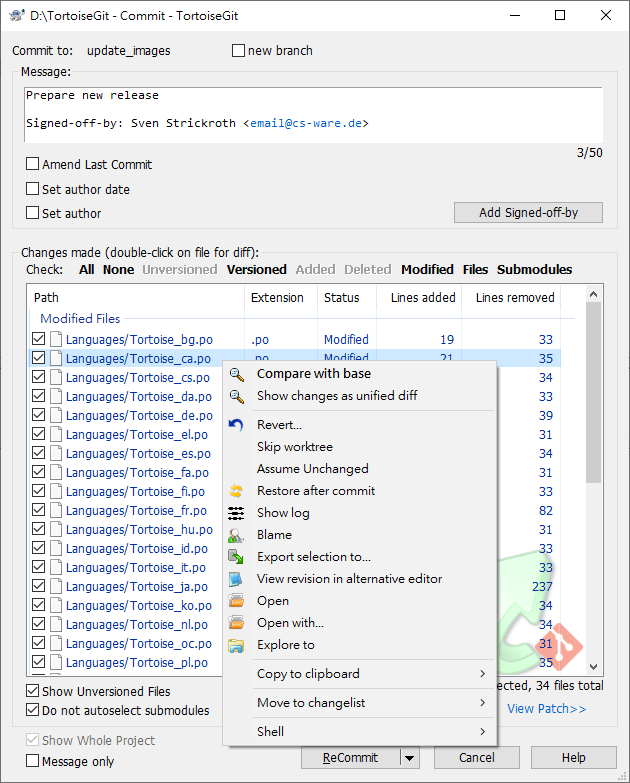 You can control the default behavior by setting push. If you are checked out into a local branch with an upstream defined, only that local branch will be updated. Do I just do a git push? Even if we don't pass the branch name to git push, Git will attempt to use the current branch. So I'd prefer a builtin solution if it exists : — Jul 24 '13 at 7:39 You can set up an alias that uses git fetch with refspecs to fast-forward merge your branches with just one command. 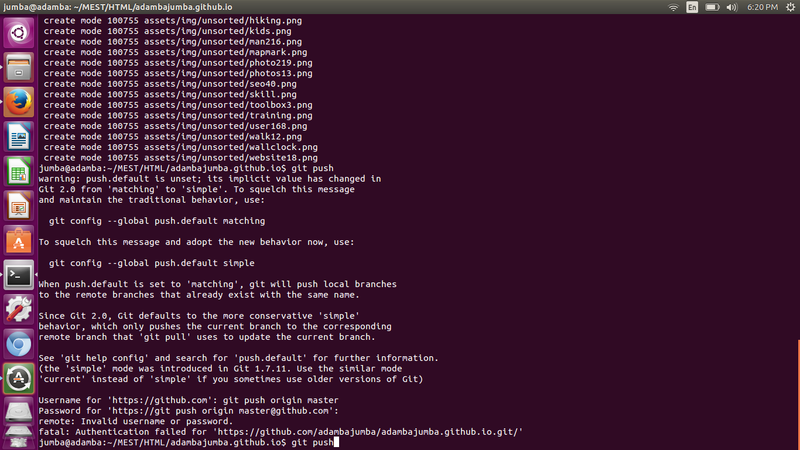 See 'git help config' and search for 'push. Just running 'git push origin' will push all of the branches instead of only the current branch. If you force push your work you are effectively overwriting the remote history with your local history. It's much better to use git pull --rebase to keep the repository clean, your commits always on top of the tree until you push them to a remote server. Are you implying that the other remote branches e. This doesn't show up on a smaller repo, but if you have a busy repo, with lots of contributers, untangling a mess becomes much harder if you no longer have the true parentage of a given commit. Excepted from this license are code snippets that are explicitely marked as citations from another source. When I first set it up I did run: git config push. I understand that there is no absolute right or wrong with either approaches but I feel that there is a right time to rebase and a right time to merge.